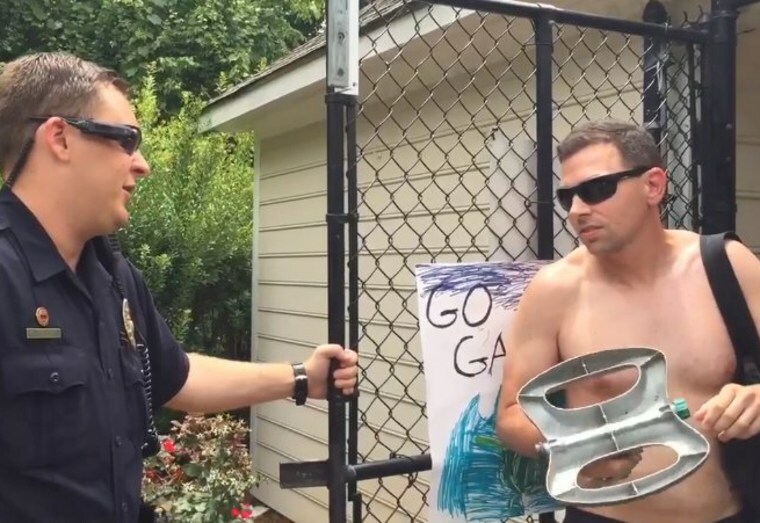 A white man who called North Carolina police on a black woman who was using a private community pool with her child no longer has a job because of the “terrible incident,” his company said Friday. It was not immediately clear whether Sonoco fired Bloom or if he resigned. A LinkedIn page in which he had listed his position as a value realization leader was later disabled. “I’m heartbroken that I’m no longer on that team, but unfortunately we felt at the end of the day talking through it that the company’s best interest would be uh served without me,” he said. “We’d be happy to have her here if she would just show some identification,” Bloom tells the dispatcher of Abhulimen. The incident has garnered national attention. Social media users shared a Facebook post in which Abhulimen called it a “classic case of racial profiling” — the latest in a string of police calls on black people who are doing ordinary, nonthreatening tasks that have made headlines. Abhulimen said she lives in the Glenridge community where police were called. In one of the videos on her account, viewed more than 4 million times, she told Winston-Salem police that Bloom asked for her address and then for an ID. Abhulimen told police that as a resident, she has a key card to enter the gated pool area, which she handed over to an officer to prove that it worked. “Where does it say that I have to show an ID to use the pool?” she asked. The man then walked away when Abhulimen asked him if he would like to apologize for calling the police. Abhulimen could not immediately be reached for comment Friday. Bloom’s attorney, John Vermitsky, said the video doesn’t capture the entire incident. Another board member first asked Abhulimen her address because she didn’t recognize her. Abhulimen, however, gave an address on a street where homes weren’t yet built, confusing the board member, Vermitsky said. The questioning eventually led Abhulimen to call what was happening racial profiling, and Bloom decided to dial police to allow a “neutral third party” to resolve the situation. Vermitsky said Bloom is now getting death threats and had to leave his home with his wife and three children to find a safer location. CLARIFICATION (July 6, 6:15 p.m.): An earlier version of this article identified the woman at the pool as Jasmine Edwards. Though that is the name she uses on her Facebook page, her lawyer says her legal name is Jazmine Abhulimen.